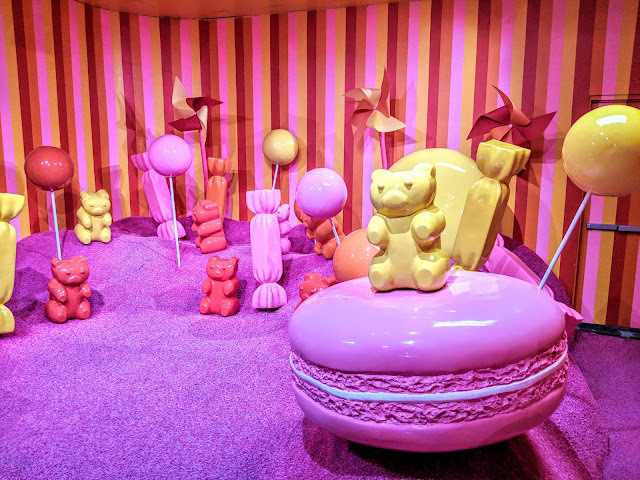 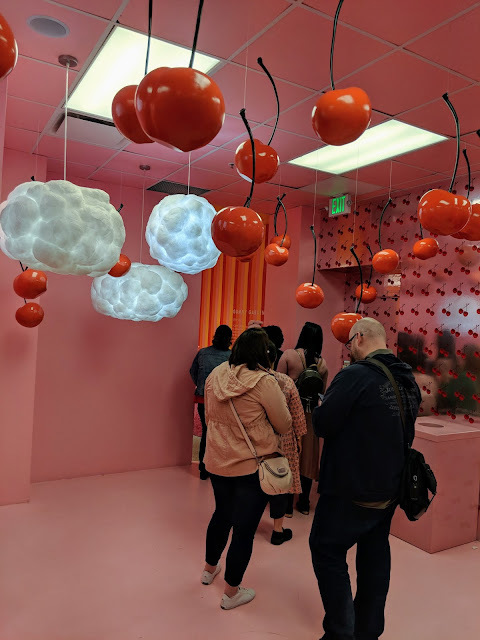 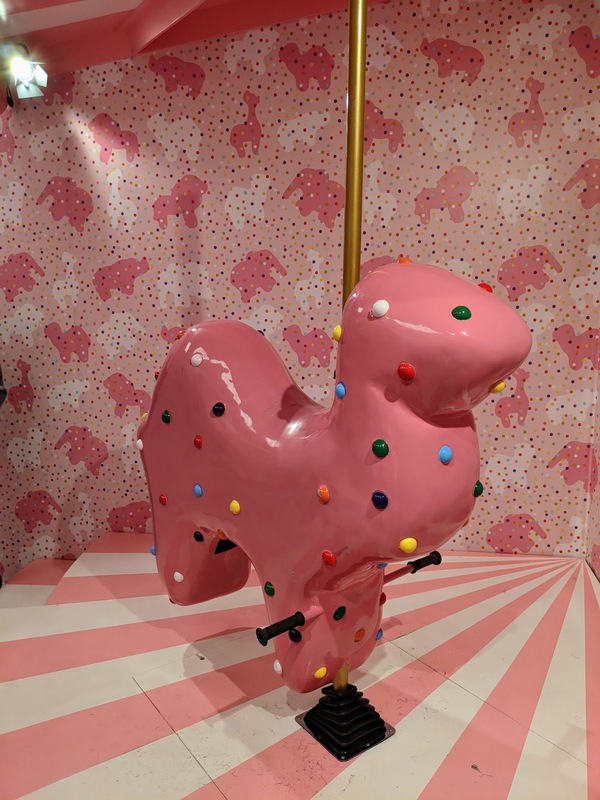 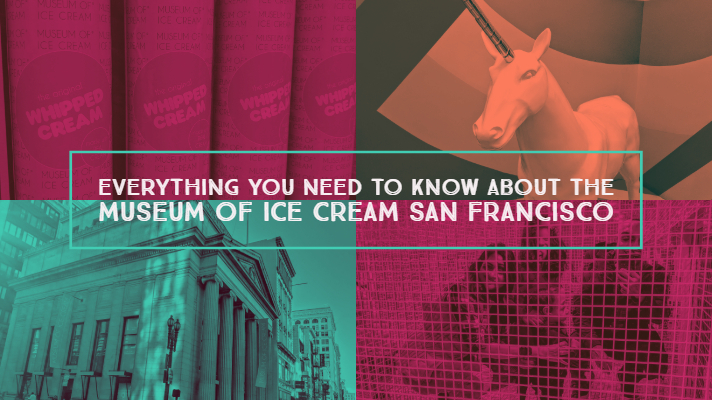 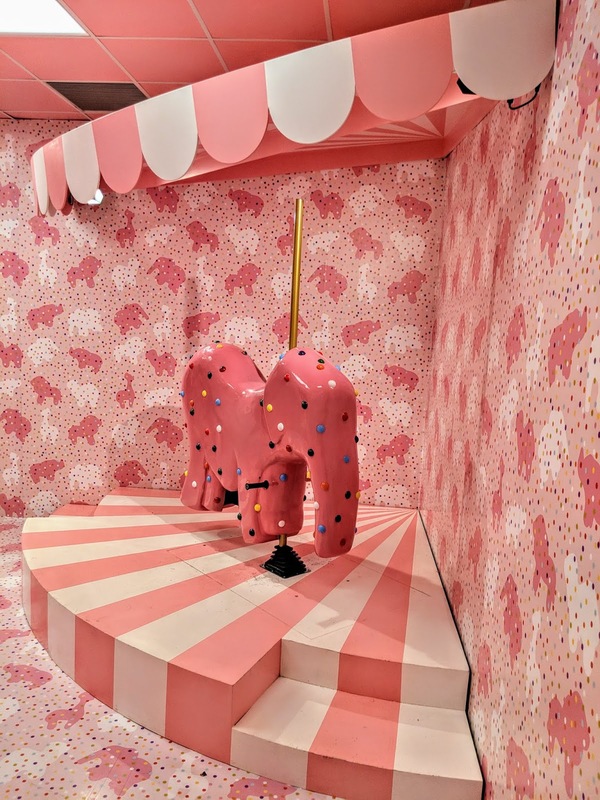 The wildly popular Museum of Ice Cream is extending its run yet again in San Francisco. 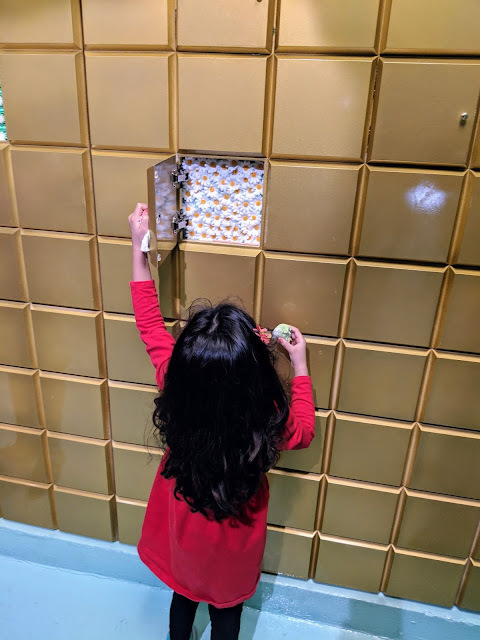 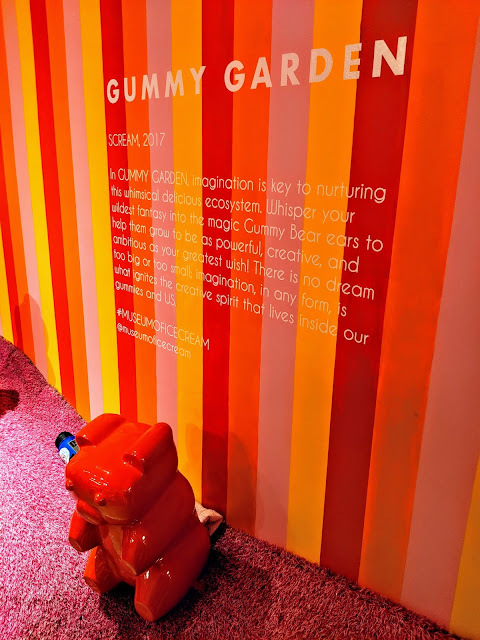 The interactive art exhibit features ice cream and candy themed exhibits in a maze of fun with treats along the way. 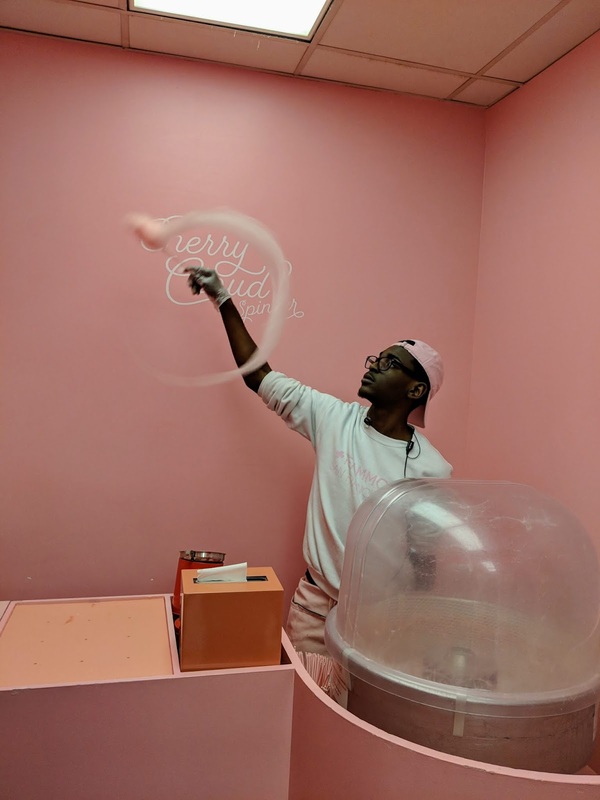 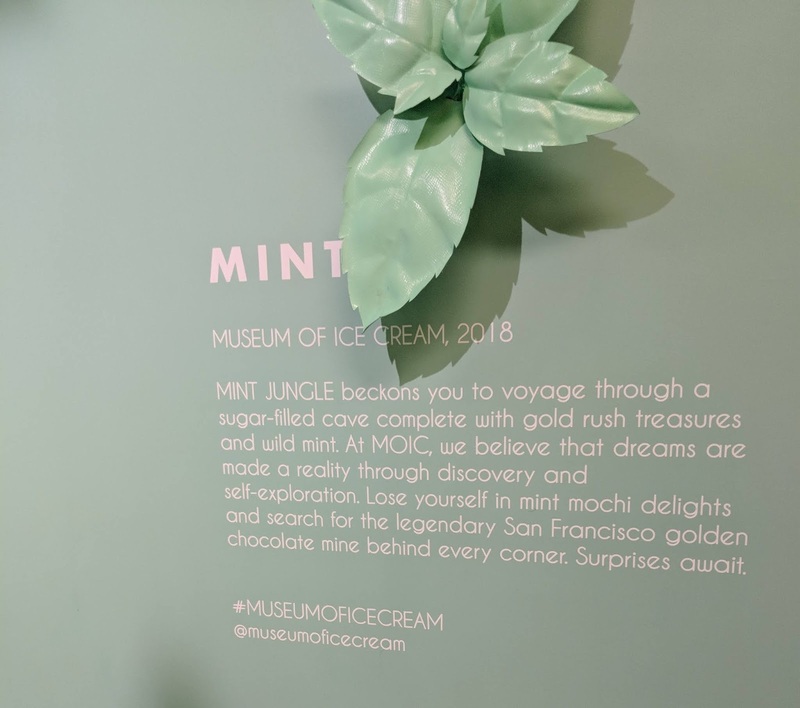 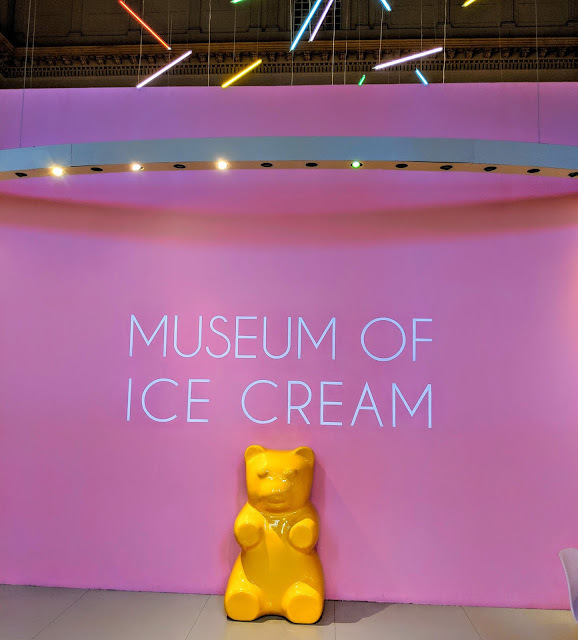 The Museum of Ice Cream will run through September 3, 2018 and time is running out, so if you haven't been yet, get your tickets fast! 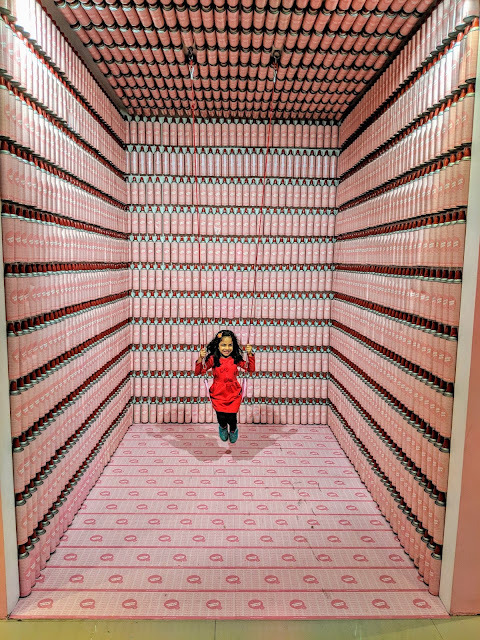 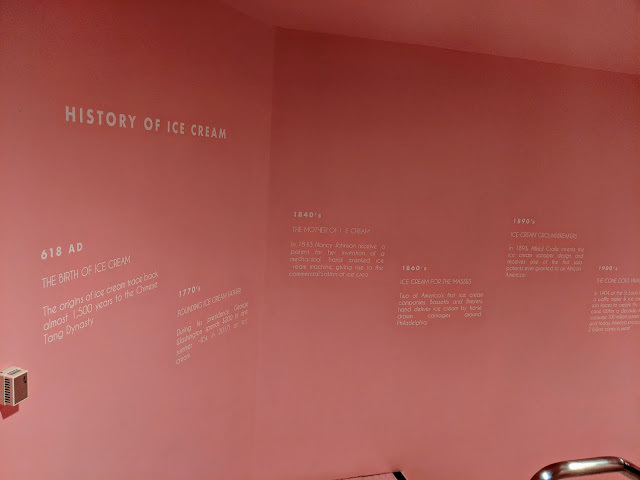 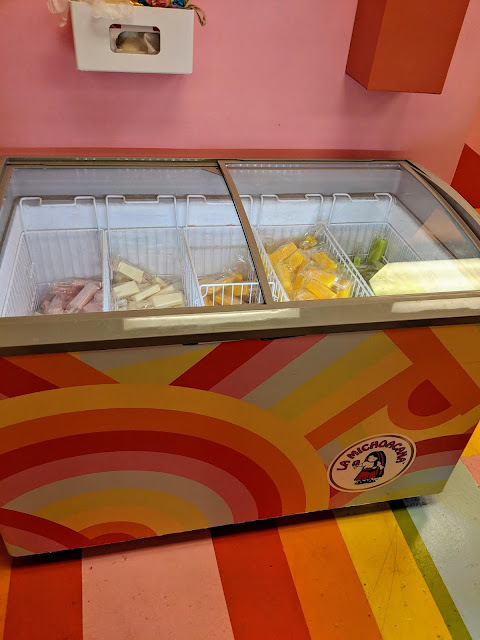 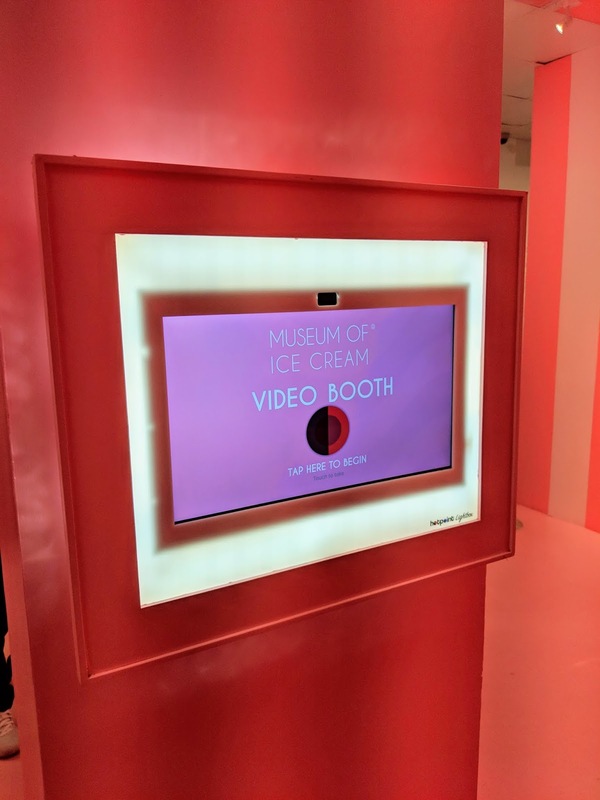 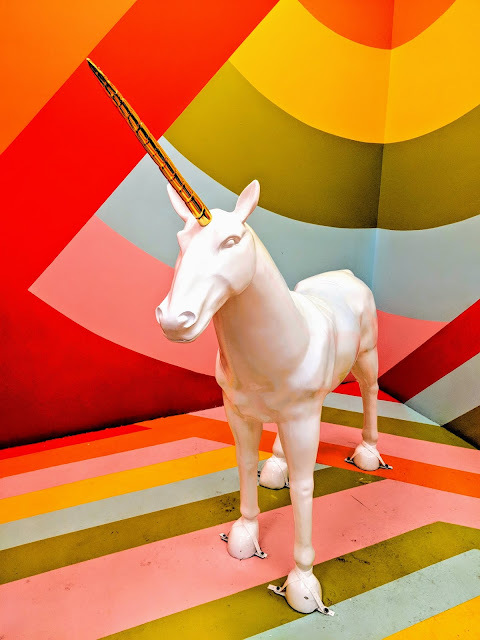 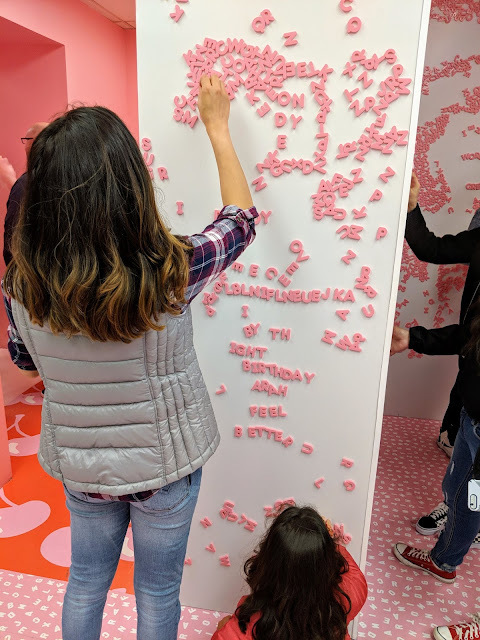 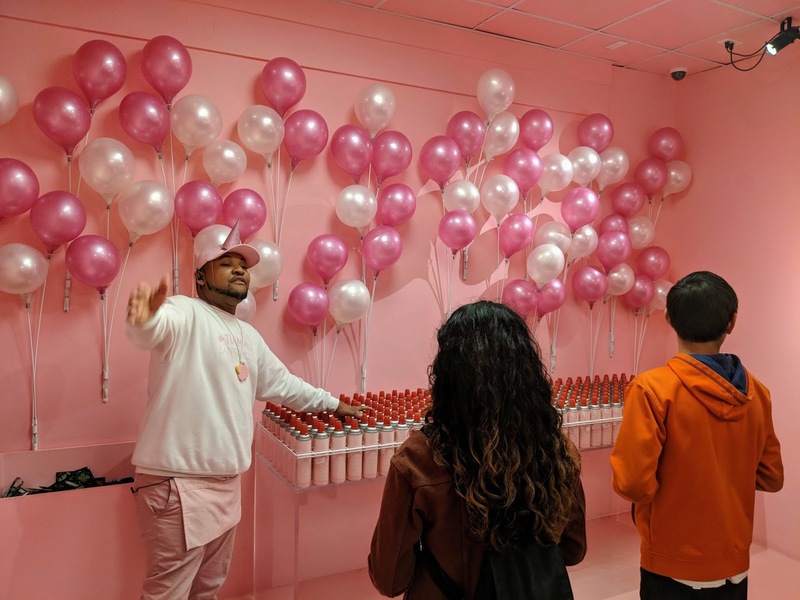 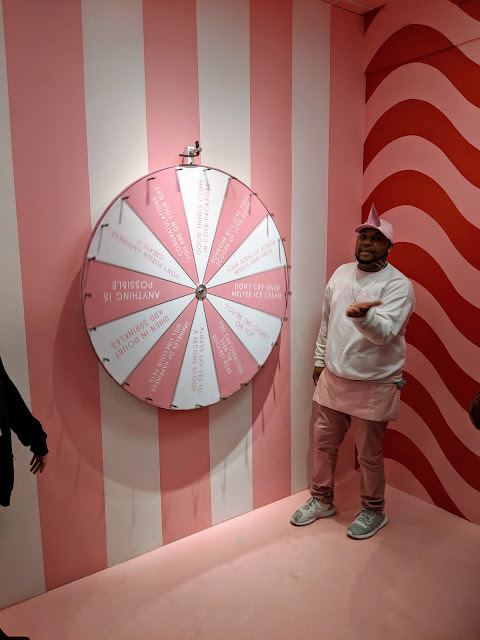 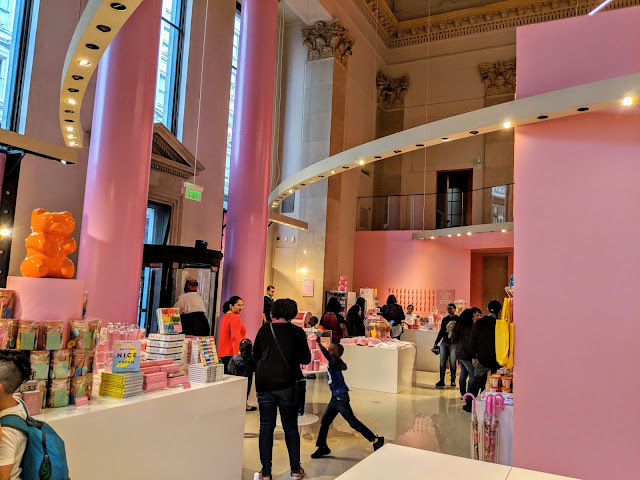 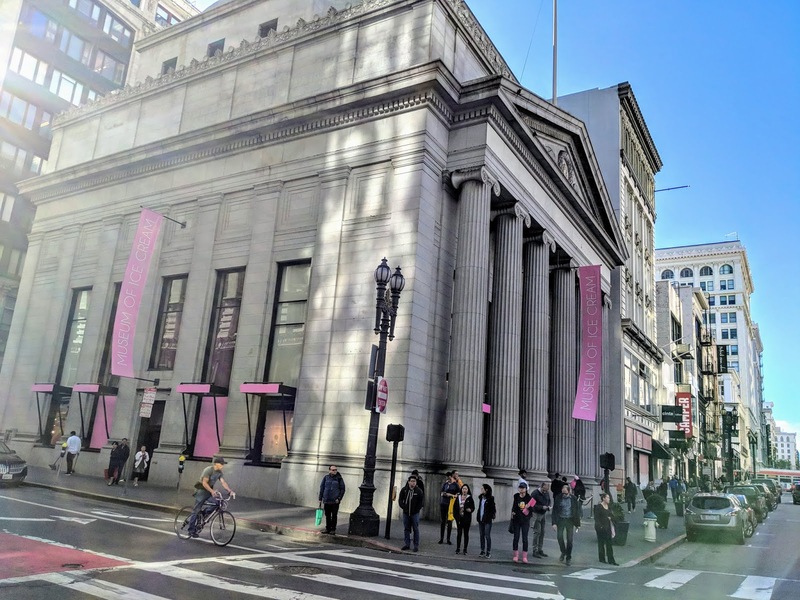 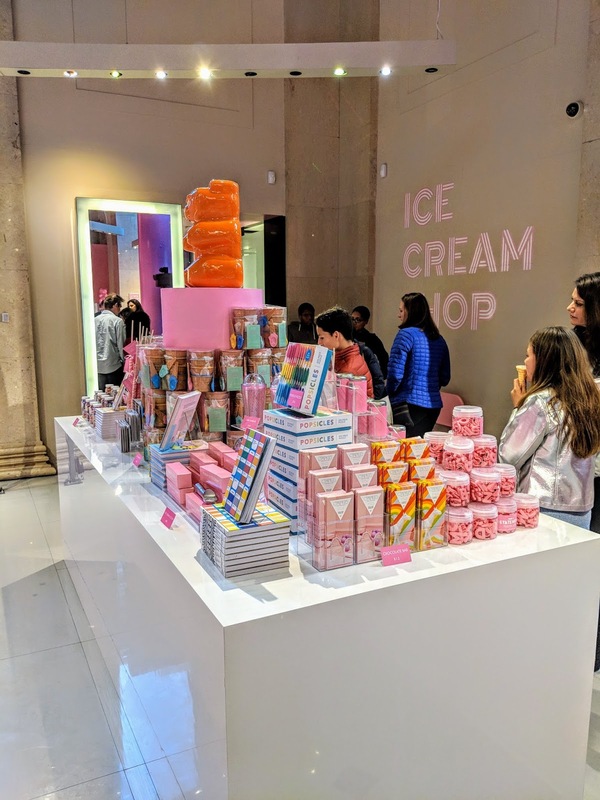 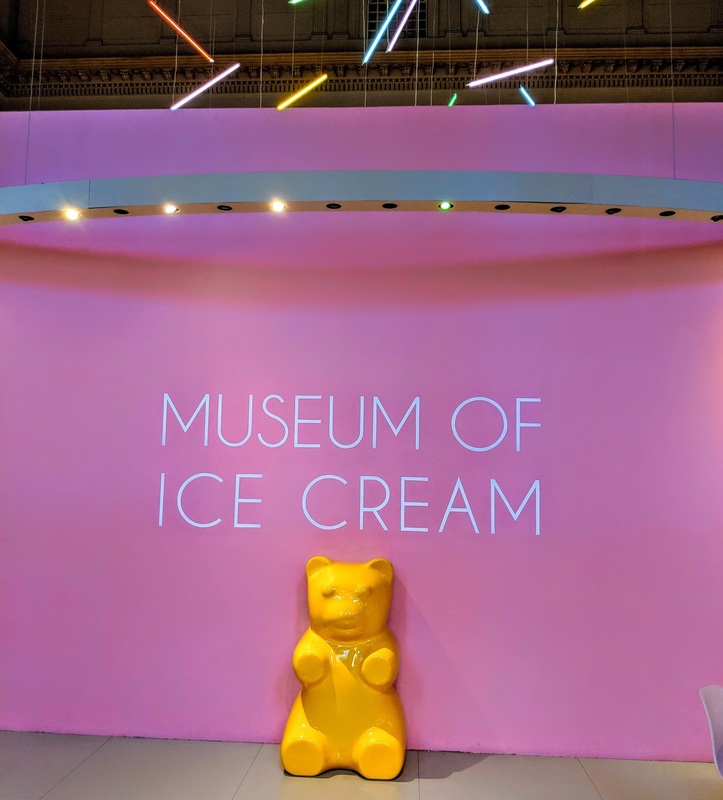 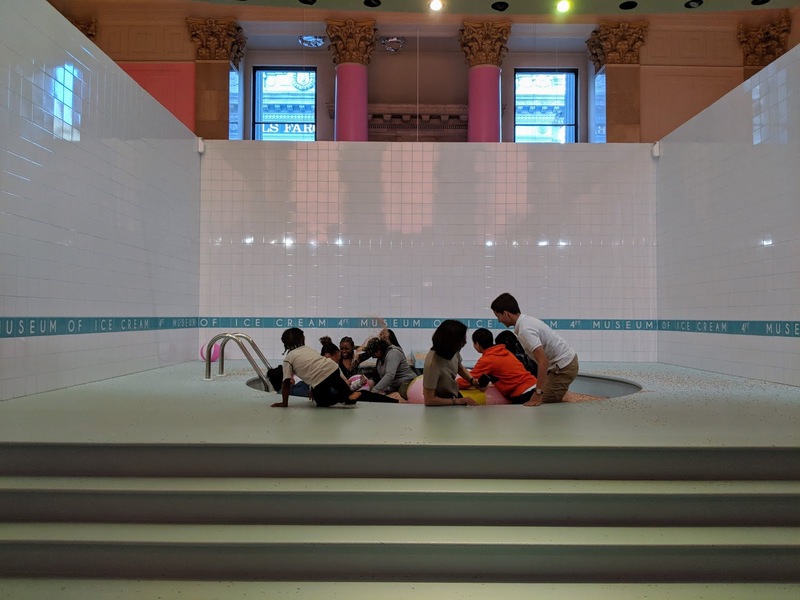 The Museum of Ice Cream is conveniently located in the Union Square area at 1 Grant Ave in a 1911 Neo-Classical architectural building that formerly housed Giorgio Armani. 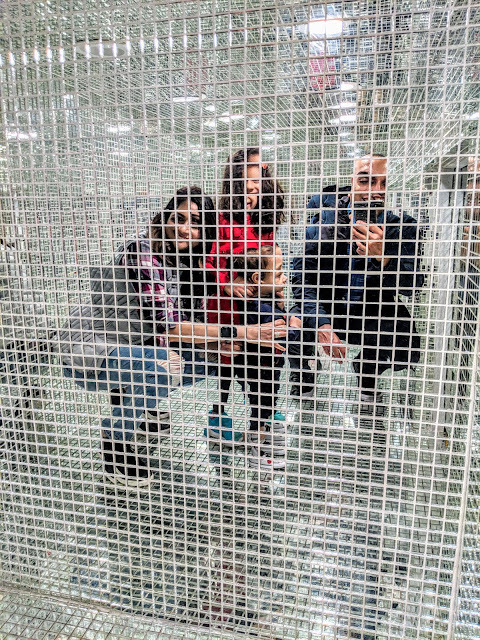 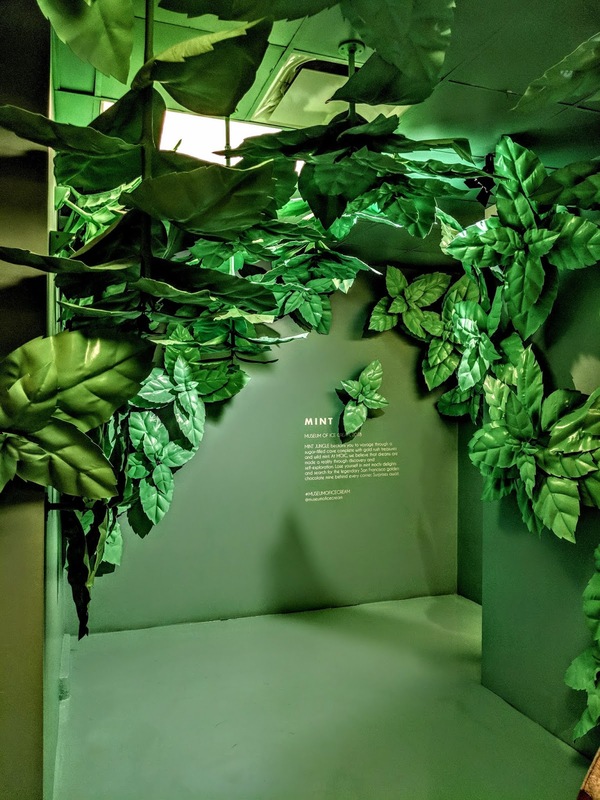 The exhibits are very often the backdrop for selfies, and the many selfies posted to instagram, flickr, facebook, and other social media sites have served to promote the exhibit. 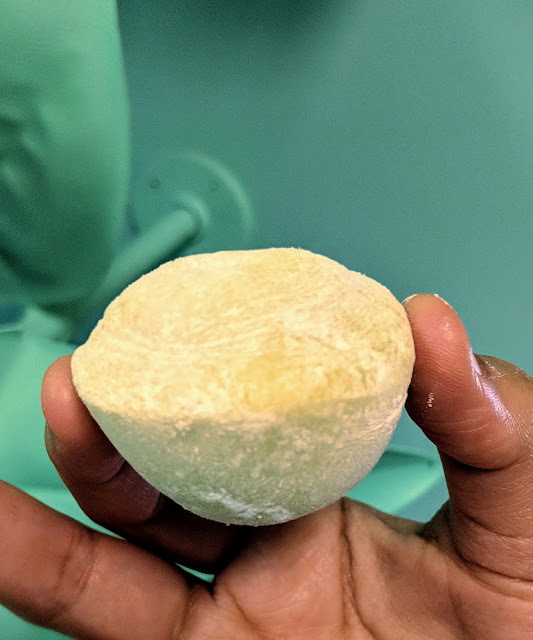 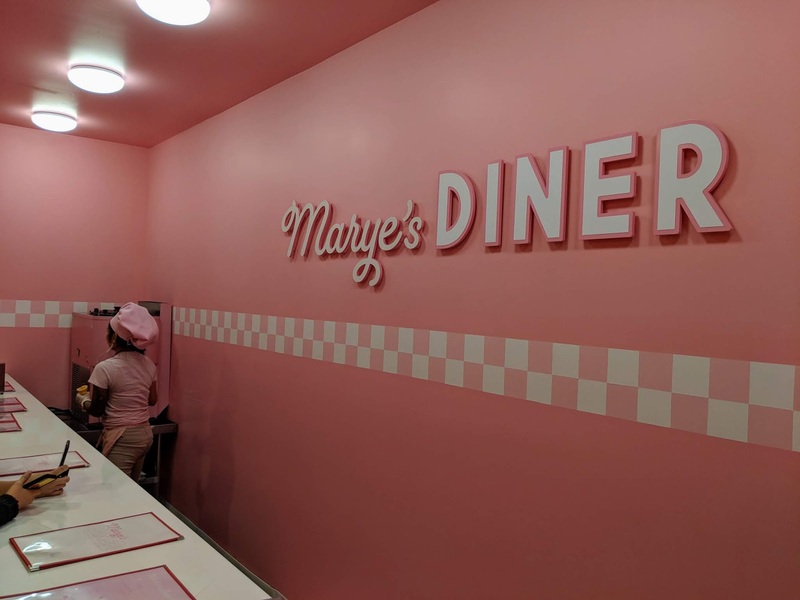 Every visitor is offered numerous tastings throughout the tour at each exhibit as well that ranges from ice cream snacks, cotton candy and more! 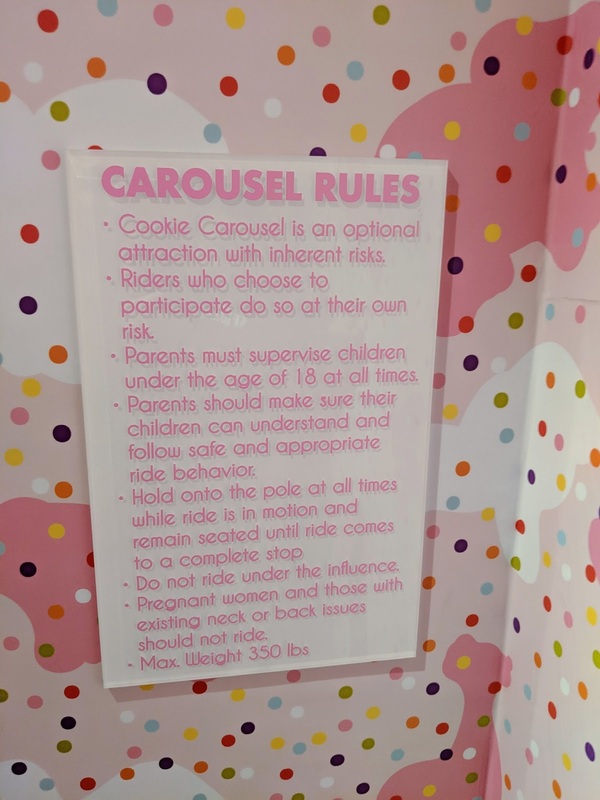 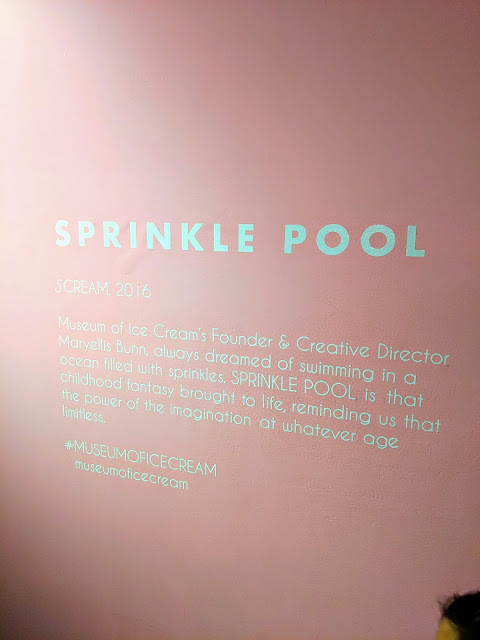 Sprinkle Pool: This is probably the most popular exhibit here, where you can play around in a pool full of plastic sprinkles. 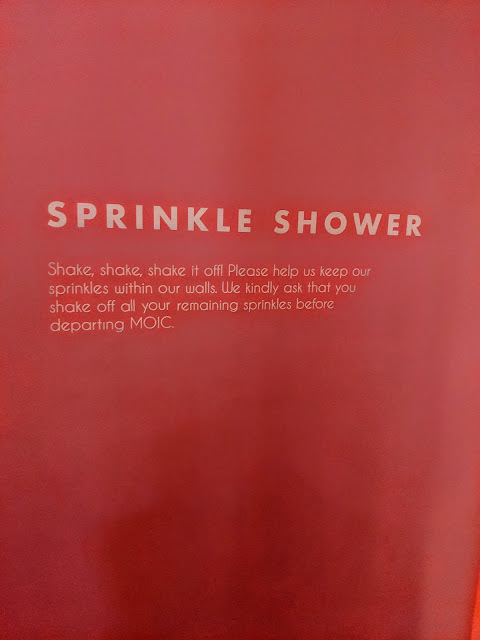 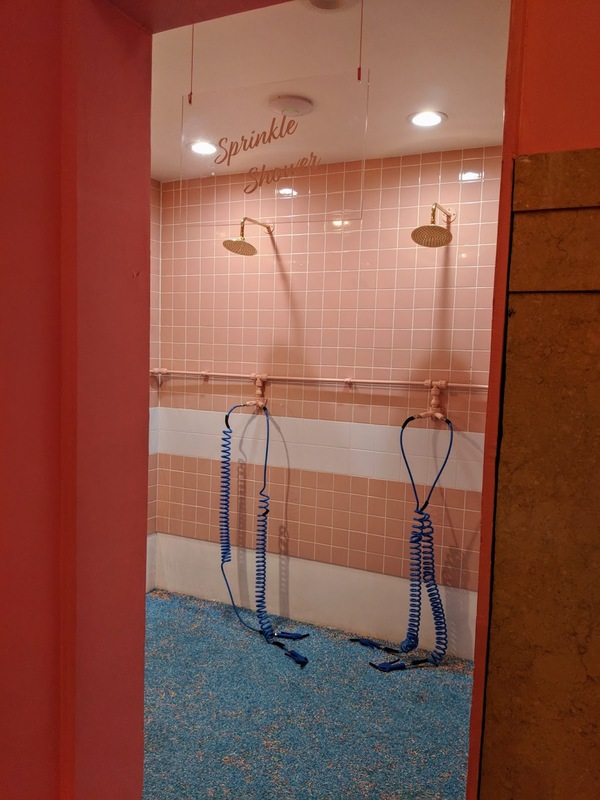 After your time is up, head on over to the Sprinkle Shower to get any remaining sprinkles out. 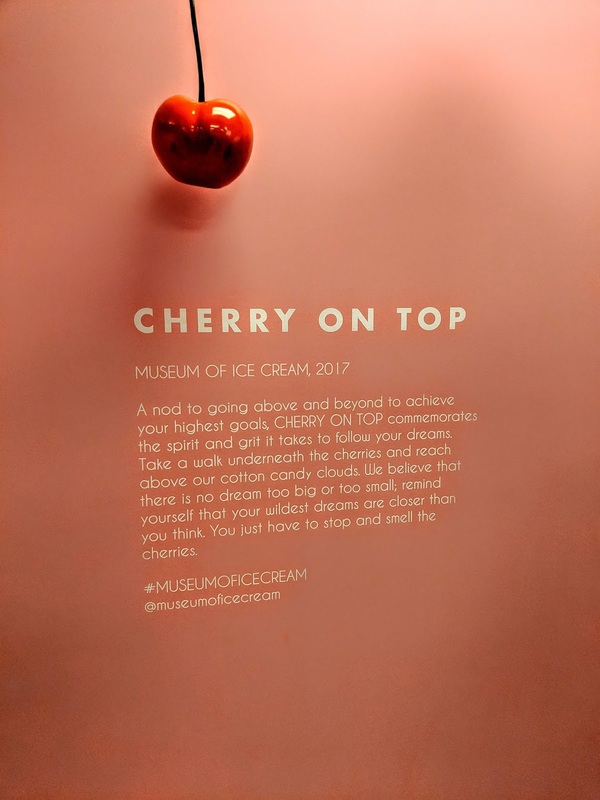 At the end of the MOIC, there are three swings, that are all Instagram worthy picture spots, and a small gift shop where you can buy souvenirs, candy and more ice cream. The museum is open six days a week (closed Tuesdays), and advance tickets are required. 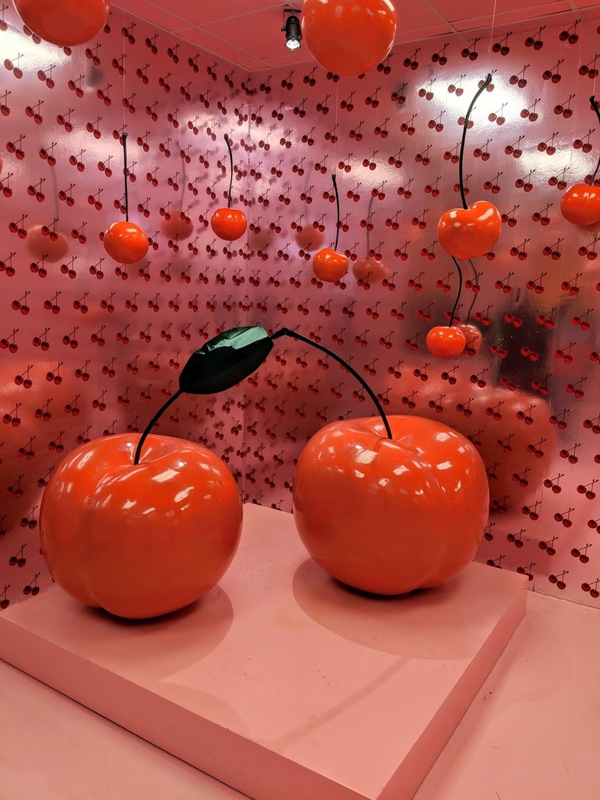 Tickets must be purchased in advance for specific time slots online only are not transferable. Tickets cost $38 each for ages 3 and up and includes everything mentioned above, as well as numerous ice cream tastings throughout the tour. 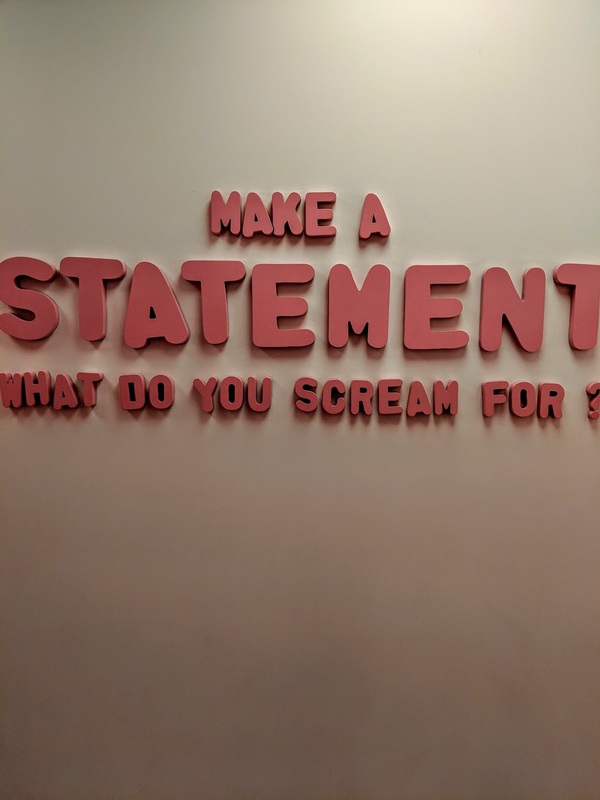 Overall, we had a great time at the Museum of Ice Cream and enjoyed all of the tasty treats. 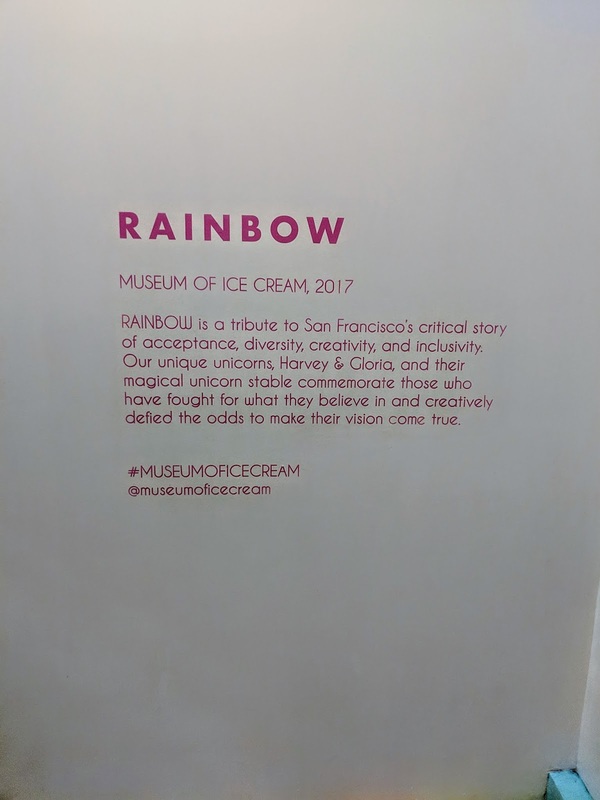 It took us a little over an hour to get through all of the exhibits and after we were done, it was a quick walk to Union Square and our hotel.